Have I mentioned recently that I like to ski? 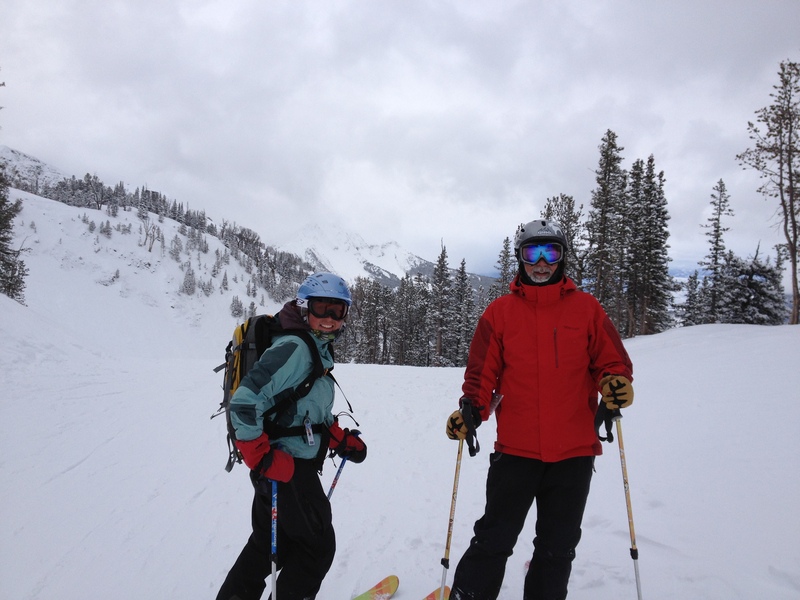 A few weeks ago Charlie and I headed out on another skiing adventure. The plan was to drive to Big Sky Montana to meet up with Twila and Chris and spend a few days at the Bell Lake Yurt. On the way we would take some time to ski in the Tetons. I’ve posted most of the photos and video’s on our photo gallery. Charlie also posted about the trip on his blog. We headed for Afton to spend the night at the homestead on the way. After some typical Wyoming driving weather we arrived at the Afton Homestead to find that several deer had been guarding the house while we had been away. The next day we climbed up 25 Short near Bradley and Taggart Lakes in Grand Teton National Park. At 9,975 feet, it’s just a bump compared to the surrounding peaks, but has some great 25 to 30 degree slopes on the east side that were perfect given the considerable avalanche danger that day. The next day we skied in a blizzard at Grand Targhee on the Idaho side of the Tetons. Damn! this winter time skiing is fun. A nice day of skiing at Targhee. The next day it was off to Big Sky for the main event. Chris and Twila were our host’s and guides. Chris arranged for a snow machine to take our packs half way in. It was about six miles into the Bell Lake Yurt. The yurt sits in spectacular and isolated location. It holds six, but was very cozy with four. I recommend it to anyone that likes to backcountry ski. Check out The Bell Lake Yurt website for information about renting it. The first day out it was cloudy and snowing all day, but the snow was safe. It snowed about eight inches that night to give us a spectacular blue-bird powder day. We woke to snow and wind the next day, but got in some turns before heading to soak in “Water of the Gods.” I tend toward atheism anymore, but soaking in a hot spring was a spiritual experience. 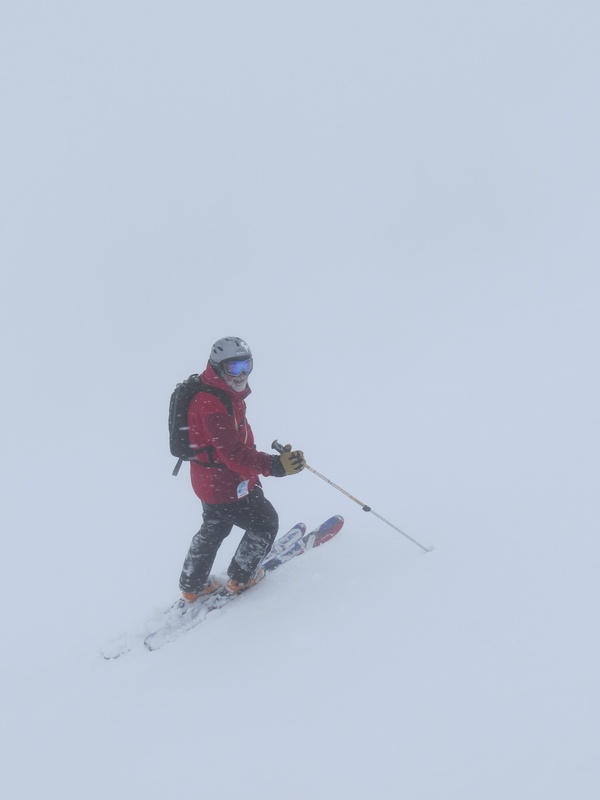 After one more day of resort skiing at Moonlight Basin—freshies again!—we headed for home. Thankfully, Charlie ignored my suggestion to hit Teton pass on the way home. After seven days of pretty relentless skiing, I was tapped out. More photos and even a few videos are on our photo gallery site. This entry was posted on March 16, 2013 by shane and tagged Bell Lake, Charlie, Montana, skiing, tetons.